Anyone who’s ever been ice fishing knows that it is an extremely fun and exciting way to fish. 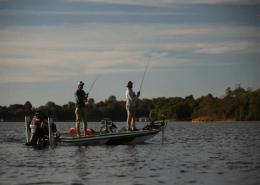 Being on top of 10 inches of ice with simply a hole you cut with an ice fishing auger and a small ice fishing rod and reel for jigging in the water hoping that you found the fish is exhilarating. If you decide to use a ice fishing radar/finder you may have a better idea as to where the fish are actually located but if not, you’re going totally off of a whim, sometimes this is what makes it the most fun. We all know that ice fishing isn’t one of the warmest activities to partake in but it doesn’t have to be that way. All you need to do is simply find the right ice fishing heater for your shanty. 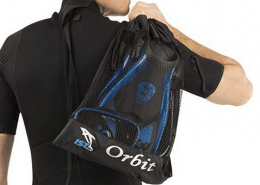 They make ice fishing heaters in all sizes and you can definitely plan accordingly in regards to whether you using a shanty or simply sitting on the ice jigging. So instead of being cold while ice fishing, get yourself an ice shanty heater and keep those tootsies warm this winter. Whether you’re looking for the portable fishing house heater or a heater for your ice fishing shanty we have just what you’re looking for. 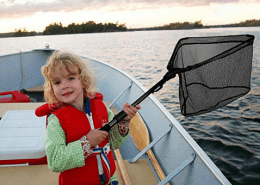 If you’re looking for the top portable fish house heater you’ve come to the right place, below you will find the top 5 ice fishing heaters for the money in 2019. Have you ever sat for hours on end in a shanty in the bone chilling cold? If you have then you know that an ice fishing heater is the difference between enjoying your time on the ice or wishing you put on that extra jacket. 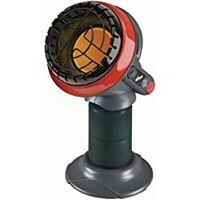 This heater is an exceptional heater and it has been approved for both indoor and outdoor use. This means you don’t have to worry about any toxic gas being put off while having this heater run in your shanty. It easily heats up a space of 225 sq ft and it can push out anywhere between 4,000 and 9,000 BTUs of radiant heat. 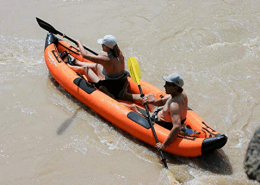 It runs off of disposable propane tanks meaning you can simply discard them once emptied. 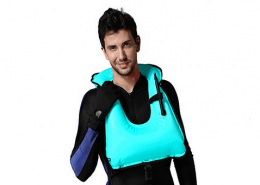 It comes equipped with safety features including an automatic shut off if the pilot light goes out, if it is accidentally tipped over, or if it senses that the oxygen levels in the given area become too low. 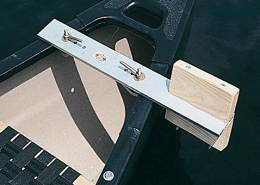 It also comes equipped with a swivel out regulator to easily connect up propane tanks as well as a fold out handle which makes it extremely easy to carry to and from your fishing spots. It’s a clean burning system meaning you won’t smell any propane as well as not getting nauseous because of an abundance of propane in the air. 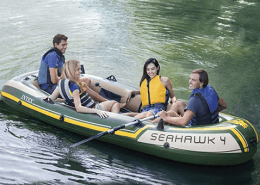 It has a built-in igniter which easily allows you to ignite the propane as well as a four position control so that you can truly dial in the exact temperature you’re looking for. We almost forgot to mention one more safety feature, that’s the high temperature wire guard they placed around their ceramic burner tile to ensure the heating source is properly and securely protected from anything accidentally touching it, thus causing burns or fires. If you’re on the market for an ice fishing heater this heater might be the right choice for you. 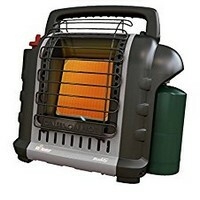 This is an amazing ice fishing propane heater for the price. If you’ve ever been ice fishing then you know that an ice fishing heater is worth its weight in gold. But like many things, not all heaters are made the same. Some heaters are comparable to simply having an open flame that produces heat. While others, such as this heater, can be compared to or even referred to as the Cadillac of space heaters. Mr. Heater has really refined and redefined what an ice fishing heater should be. Not only do they look good, but they’re also full of safety features that help to ensure the safety of the angler using them. 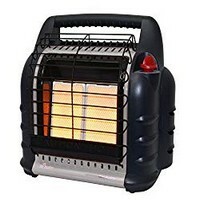 This heater radiates from 4000 to 9000 BTUs worth of heat warming an area up to 225 sq ft. Not only that but this heater has also been approved to be used both in and outdoors. Of course the indoors factor comes into play while inside the shanty. I guess if you really wanted to you could use this inside of your home, but I personally wouldn’t recommend it. Some of the safety features this heater possesses include automatic shut off if the heater is knocked over. It will also automatically shuts off if it detects low levels of oxygen or if the pilot goes out. Some heaters will continue to release gas even after the flame has gone out, thus filling the space with propane. If you were wonder, this is bad! This feature ensures the safety of the anglers using this heater. 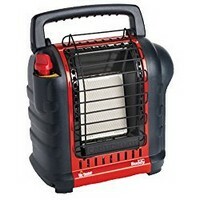 If you’re sick of sitting in your shanty shivering, maybe it’s time you invest in a portable propane heater. Just when we thought we’d seen it all. This ice fishing heater is truly something special. Not only does it look amazing it also functions flawlessly. We referred to the last Mr. Heater ice fishing heater as the Cadillac of heaters, if that one was the Cadillac, this one must be the Maserati. This heater comes with an adjustable knob. Giving you the option to turn this heater on low medium or high depending on the temperature outside or the temperature at which you wish your shanty to be. This ice fishing heater has no problem heating up a 300 sq ft area because it’s capable of giving off 4000, 9000 and 18,000 BTUs worth of radiant heat. Not only that, but this heater comes with all the bells and whistles you could ever imagine. Because as we’ve all learned, Mr. Heater is no slouch when it comes to safety features. If this heater detects low levels of oxygen or if it is accidentally tipped over it will automatically turn off. In addition to that if it detects that the pilot has gone out it will also turn itself off automatically. All you need is a propane tank and some cold weather. You can believe you’ll be happy you had this when the time comes to utilize it. After using this, fishing in the cold will be a thing of the past. One of the best heaters for ice fishing hands down. This heater may not be as big or flashy as the others, but don’t count it out. They call this heater the “Cooker” for a good reason. The adjustable knob on top allows you to dial in exactly the temperature you wish to obtain. It has a range between 8,000 and 15,000 BTUs of radiant heat. It has a grill just on the outside of the actual heat dispersion grill that ensures that you will not accidentally touch it or lay something directly on the heat source. Like the other ice fishing heaters built by Mr. Heater it comes equipped with an automatic shut off switch to ensure the safety of it’s users. Because of the attachment fitting this heater has you have the ability to use smaller disposable propane cylinders or a 20 lb. refillable propane tank. So it’s your choice on whether you’ll be using this heater for long duration’s of time or just to simply warm your feet from time to time. This heater comes ready to go right out of the box with the exception of a small stand that needs to be assembled. And by assembled, we mean simply snapped into place. So regardless of whether you want to have high heat, low heat, or something right in the middle, this little heater will ensure that you stay warm on those frigid fishing trips and one of the top low budget fish house heaters. This heater may be small, but boy does it pack a punch. This little heater has been approved for both indoor and outdoor use. 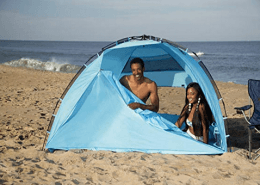 It’s odor free heat lasts up to 5 1/2 hours and it projects this heat out at a 45° angle to ensure the heat is not simply being blown aimlessly around. 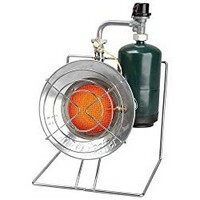 This ice fishing heater uses a 1 pound propane cylinder which is disposable. Meaning you can buy multiple at a time and you don’t need to worry about getting them refilled once they’re emptied. It comes incorporated with an automatic off switch, so if this heater is accidentally tipped over or it detects that the oxygen levels are too low it will automatically turn itself off for safety reasons. These are amazing features because often times these things will happen without the anglers recognition or acknowledgment. It can easily heat up a room that’s 95 sq ft because it pumps out a whopping 3800 BTUs of radiant heat. They called this heater the “Little Buddy” and we can guarantee you that it will evolve from your little buddy into one of your best friends. If you’re in need of a small, sleek and stylish portable heater that isn’t big and invasive, this little heater is exactly what you’re looking for. You can’t go wrong with Mr. Heater and their Little Buddy can generate some big heat.